If German tuning powerhouse AC Schnitzer were to build an E36 M3 convertible as a catalog car, it might turn out something like this. Back in the '90s, spotting a mildly modified E36 M3 on the street was an experience well worth celebrating. Even today, I still have flashbacks of seeing the then-new M3s in excitement. It didn’t take too much for an E36 M3 to look special. 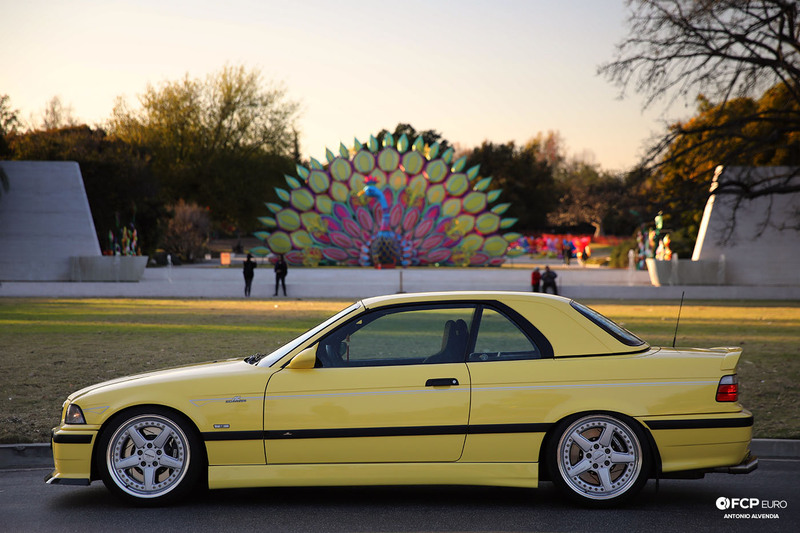 Any BMW E36 wearing a set of 18" wheels or European taillights with clear corners was envied by the general adolescent population. Yes. We’re talking about simpler days when most people didn't even have cell phones. Back then, accessing photos and information about tuner cars was difficult, and the internet was a very new thing. 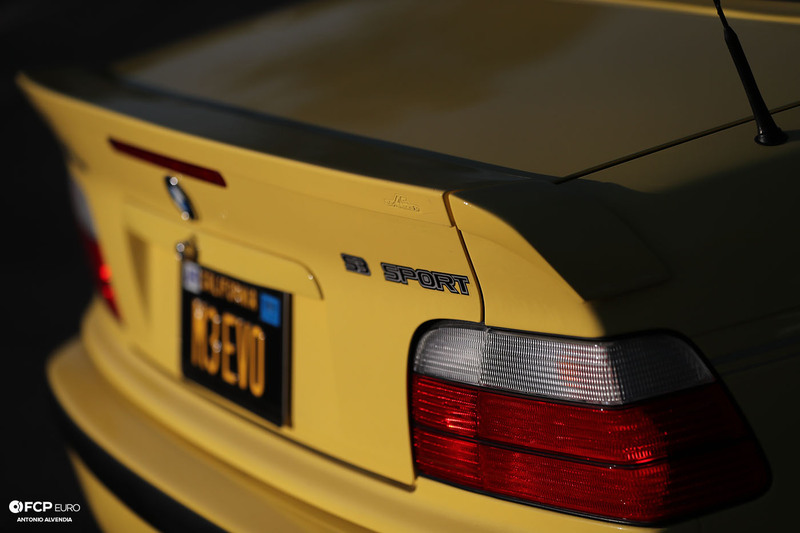 So why is driving a European car from the ‘90s, particularly the E36 M3, so special? Like technology, car manufacturers constantly evolve and improve by producing vehicles that deliver the maximum convenience and efficiency to people, thus minimizing laborious efforts in driving. These days, when people are commuting to work during the week, many prefer to be less involved in operating their daily driven cars, because driving to the office is seen by most as a chore rather than an opportunity to enjoy driving. To most people, exerting less effort in driving a commuter car reduces the burden of the drive—this is why so many hybrids and econoboxes have been taking over city streets in recent years. Economical cars for the weekday commute are one thing, but for the weekend, car enthusiasts need a vehicle that can renew their sense of passion and excitement for driving. 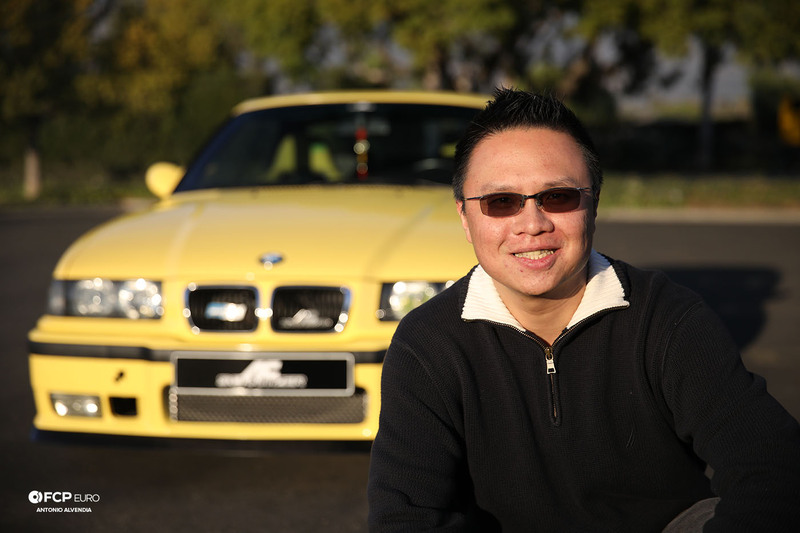 Jonathan Huang's passion for modified E36s began when he was still in college. At that time, he spent most of his spare time in bookstores obsessing over articles with modified E36s in various car magazines. Jonathan explained, "I knew I wanted a car that appealed to my emotions. I wanted a car that satisfied my senses of sight, hearing, smell, and touch." He jokingly continued, "I once considered licking my M3 to satisfy the fifth sense (taste), but I stopped myself before things got out of hand. Haha!" 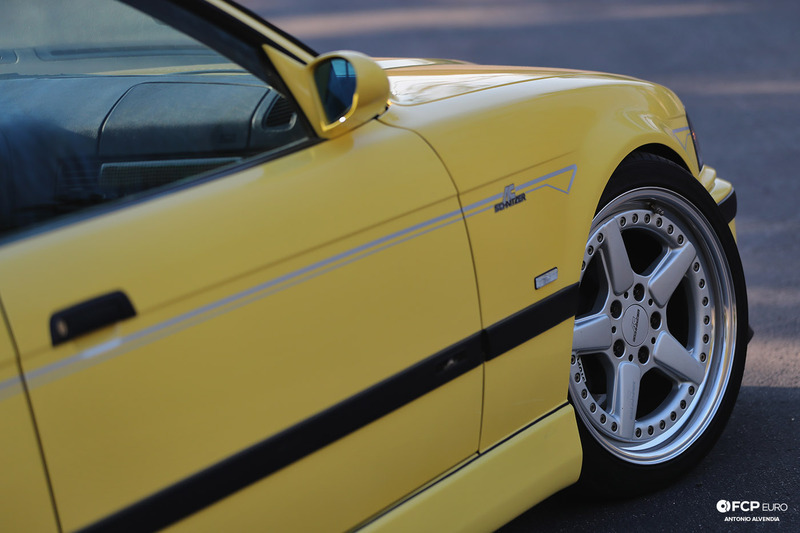 The point is, driving an analog European sports car like the E36 M3 stirs these senses and thus creates excitement that no one, other than a driver of a nostalgic car, can experience. Jonathan continued, "I love seeing the classic lines of my M3, hearing the supercharged motor barreling down the road, smelling its distinctive exhaust fumes, and grabbing the shift knob on downshifts to go faster on the highway." It took Jonathan four years of parts hunting to build his M3. 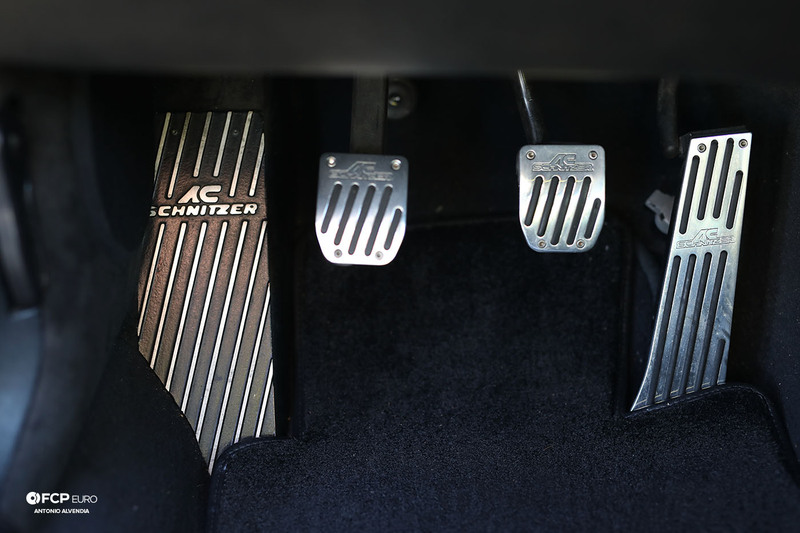 The reason why it took so long is that it was not easy finding all of the period-correct AC Schnitzer parts he wanted. He couldn't just go to a single website and order everything—he really had to go treasure hunting! For example, he couldn't find AC Schnitzer Type II 3-piece wheels or an ACS 3-piece rear spoiler for sale in Southern California, so he had to buy them in Canada. 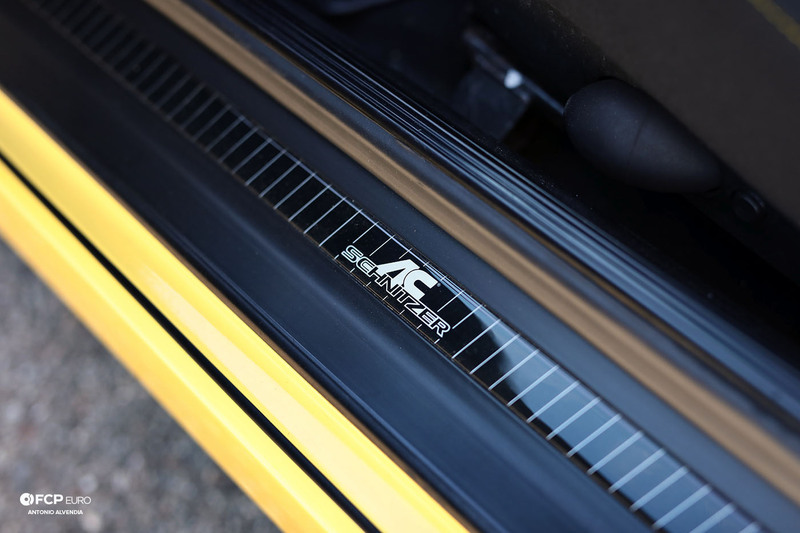 Even the door mirrors, he has two types of AC Schnitzer ones for his M3 - ACS Type I and Type II, both of which he bought in Germany. While he was at it, he just had to have an authentic AC Schnitzer carbon fiber front lip and a set of ACS door sill plates from Germany as well. Most people will immediately look at the wheels, but I'd like to draw your attention towards the subtlety of the silver AC Schnitzer pinstripe kit, which Jonathan had to get all the way in Japan. All class! Back in the late '90s, the upward pointed dual DTM style exhaust tips were all the rage, regardless if the car was European or not. 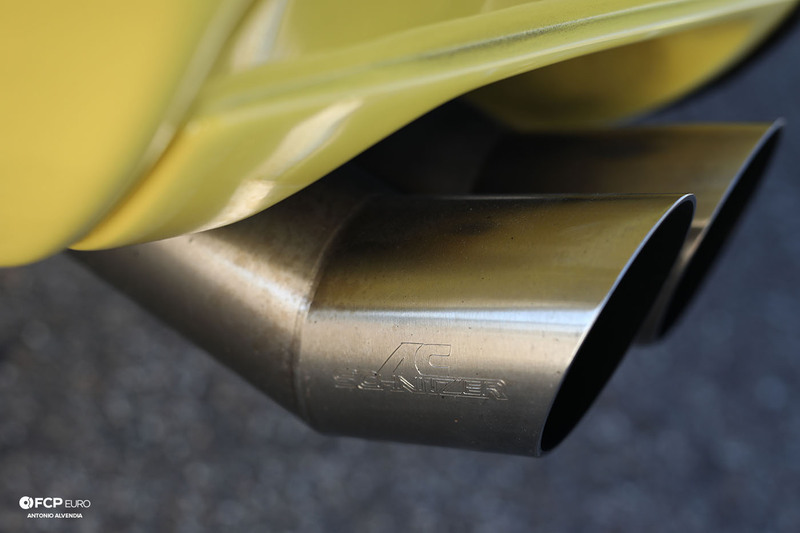 That exhaust trend was started by many companies trying to copy the look of the authentic AC Schnitzer exhaust. Of course, Jonathan's ACS exhaust is genuine. He had to source it all the way from the United Kingdom. 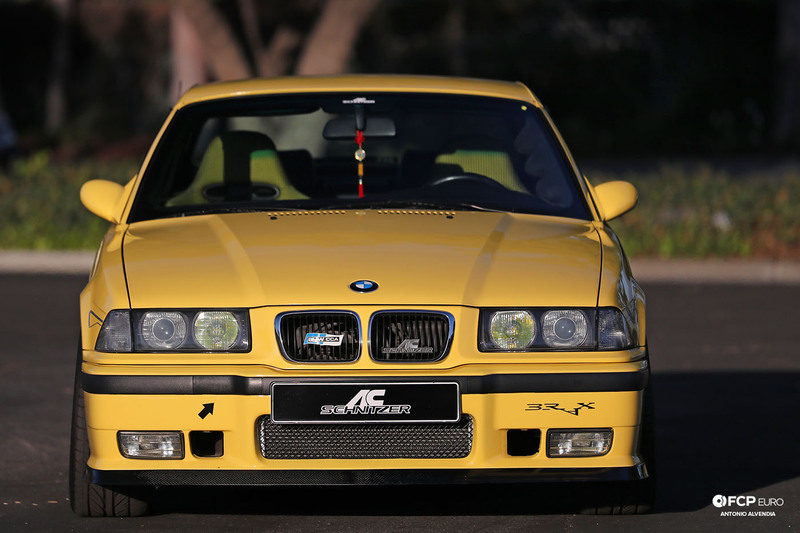 Inside the car, Jonathan continued the yellow tones from M3's exterior by adding a rare set of Recaro Tomcat seats and carbon Kevlar interior trim around the center console. 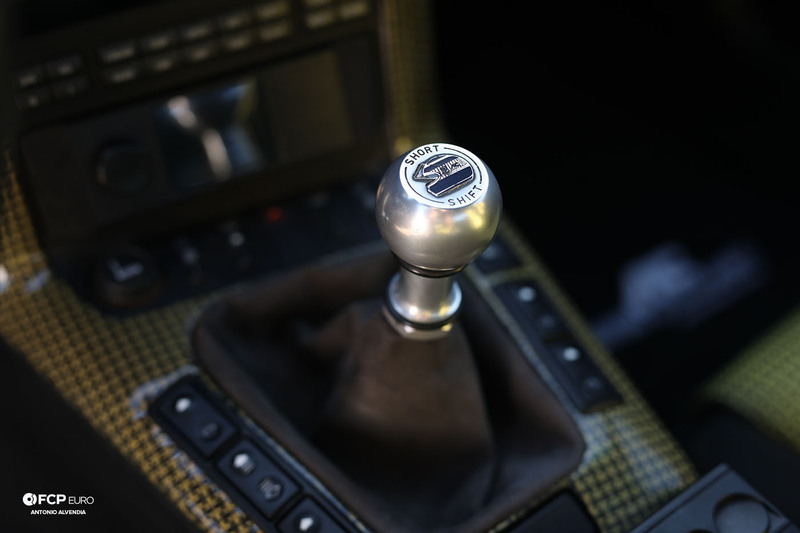 The aluminum AC Schnitzer short shifter with helmet shift knob draws the eye, and the round shape perfectly fits in the hand when maneuvering through the gears on the freeway. 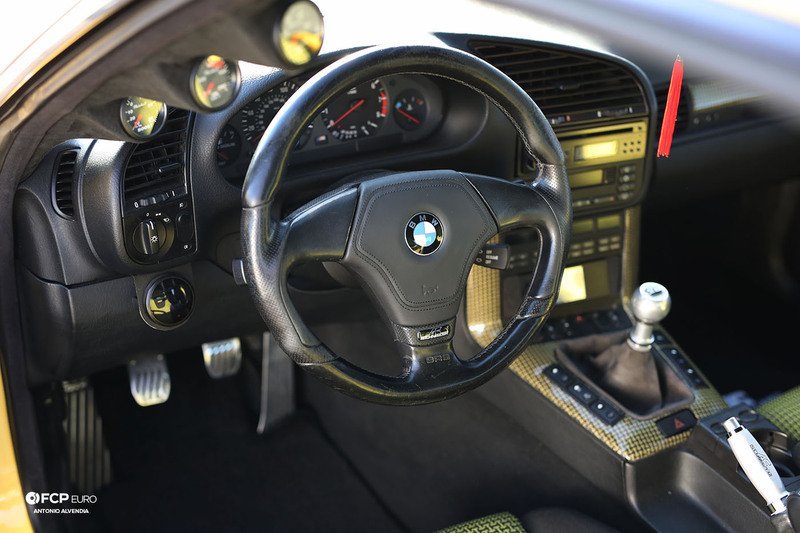 Jonathan sourced the airbag steering wheel on his E36 M3 from the UK, and it simply completes the sophisticated "OEM plus" look of the cockpit. When it comes to choosing a set of good looking headlights for the E36, simplicity is what matters. One thing about modifying a popular car like the E36 is the possibility of having endless ways to do so. For example, even the process of choosing the perfect pair of headlights alone can be a complicated and confusing experience. From the common US market OEM plastic versions to the aftermarket Depo glass headlights with all the bells and whistles, there are endless lighting options for the E36. 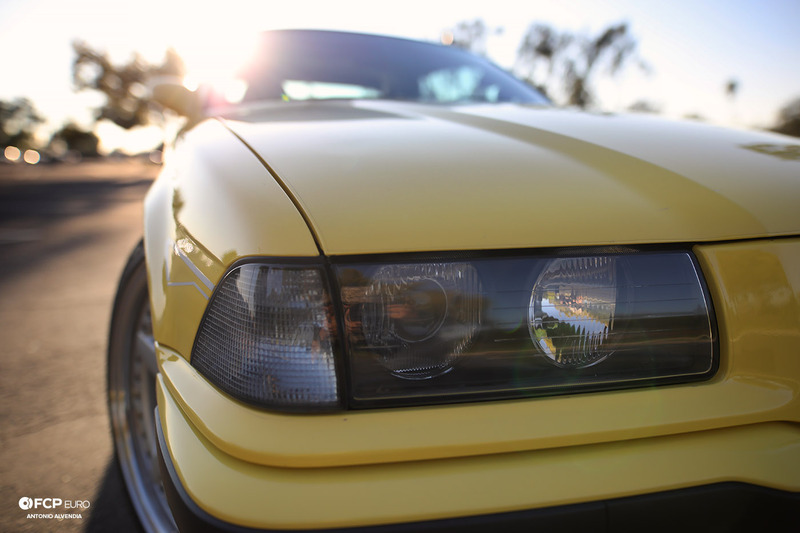 In the late '90s and early 2000s, having a set of headlights equipped with “angel eyes” or “demon eyes” on the E36 was considered cool by many. Jonathan used to have a set of modified ZKW ellipsoids with the Gen I angel lights on his E36 325is back in the days. Even though the Gen I angel eyes are somewhat dim and primitive compared to the modern LED units, Jonathan still thinks they were still cool to look at. Nowadays, almost everyone, especially BMW purists, prefers the cleaner look of the OEM ellipsoid headlights, which were standard equipment on European spec E36s. For his M3 convertible, Jonathan used a set of Depo headlights with fancy angel eyes for a while, but later on, decided they simply did not complement the overall theme of his M3. He ended up replacing the Depo lights with a set of genuine Bosch/AL glass headlights, which were sourced all the way from Denmark. Although Jonathan owns all the AC Schnitzer accessories available for under the hood, he opted for brand uniformity. 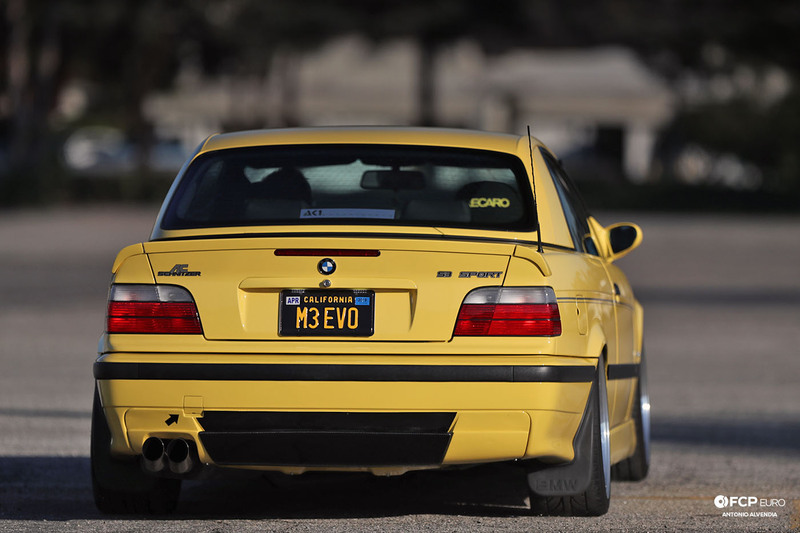 When deciding which engine modifications to perform on the M3, his research uncovered that owners of some of the most powerful E36 M3s (that were still capable of passing the strict California emissions standards), chose a combination of Dinan and RMS parts. 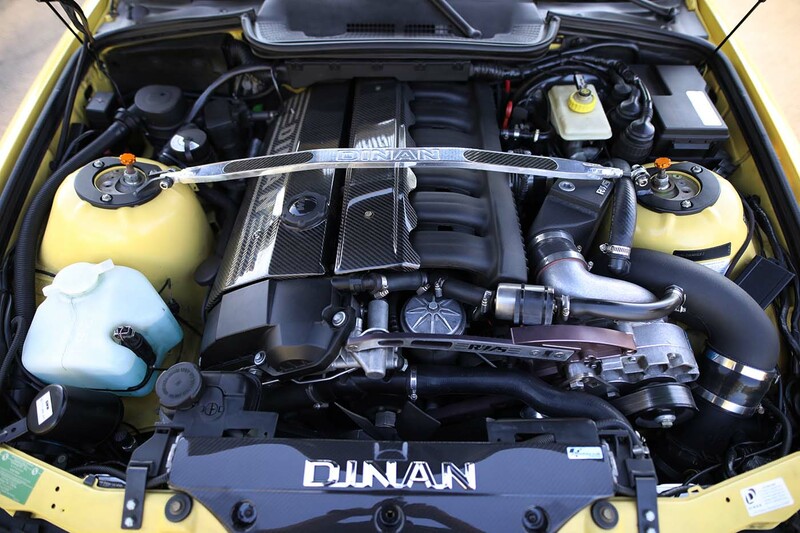 The S52 in Jonathan's M3 was initially paired up with a Vortech V2 supercharger supplied by Dinan. 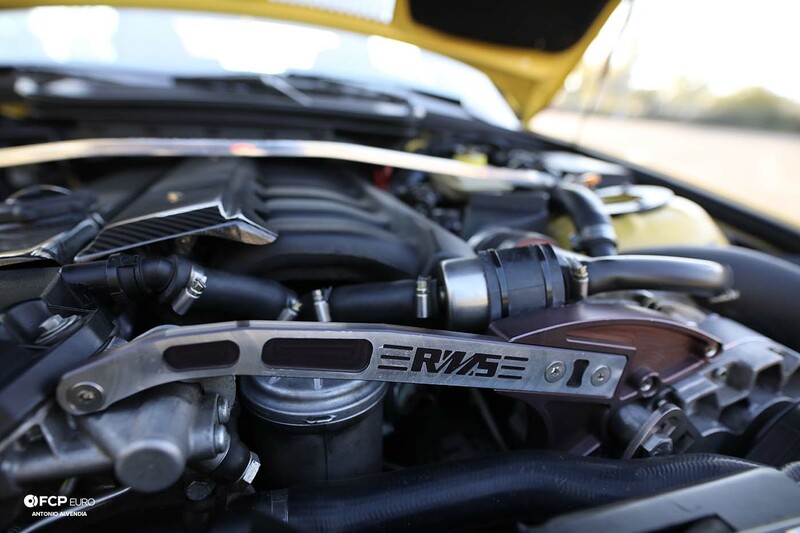 An RMS aftercooler was added to the supercharger to increase the output of the motor, which is now secured by a sturdier RMS supercharger bracket that replaced the Dinan unit. As Jonathan wanted to comply with the strict California emissions rules while maintaining the driveability, reliability, and longevity of his engine, he decided that he didn't want to further increase the power of his S52 beyond its comfort zone. Putting together a decent audio system in his cars has always been one of the most time consuming (and expensive) endeavors for Jonathan to complete. He's happy to put in the effort though, as he's a believer in the notion that a fully modified car shouldn't lack the equipment to deliver concert quality sound to its occupants. Just as he wanted his M3 to completely blow away a stock E36 counterpart in acceleration, stopping, power delivery, and handling, his M3 had to have a top-notch audio system, too. Jonathan began his research by spending countless hours on car audio forums. His original plan was to use only period-correct audio pieces there were available when the E36 was new, and after countless sleepless nights of scrolling through forums, he had the solution. 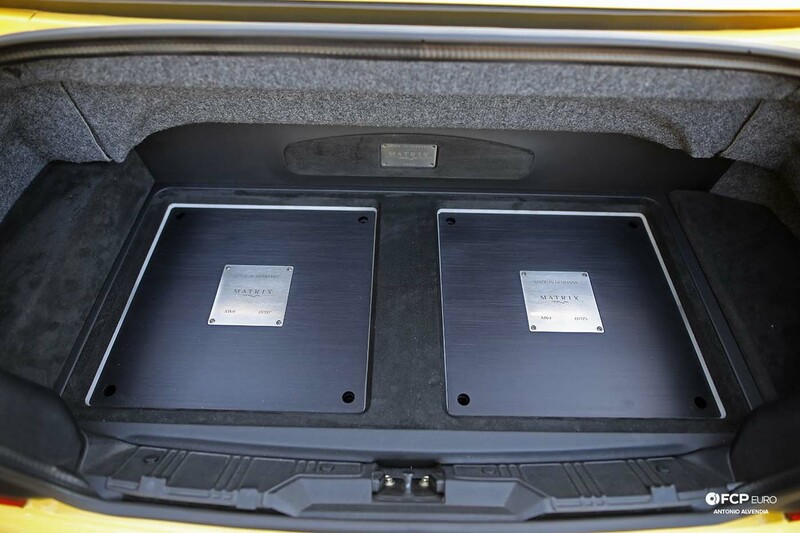 When narrowing down the choices of head unit, processor, amplifier and speakers, he opted for a more modern approach by utilizing Brax Matrix 4-channel amplifiers, Matrix front 3-way speakers, and a Helix DSP Pro sound processor. By then, the only thing left was the head unit. It was essential to choose a head unit that had the clarity, appearance, and prestige to match the Brax components to complete the system. After serious consideration, Denon won my heart. Their legendary Z1 head unit would have been the perfect choice, but it lacked optical outputs for the Helix digital sound processor. That left the Denon DCT-1, Denon’s top-of-the-line successor to the Z1, as his only option. "It’s hard to believe that I am actually saying this, but I've spent almost four years building up my M3," Jonathan admitted, "and now, I’ve finally come to the point where I can consider this car fully built." Despite the added weight (mostly due to the audio system), Jonathan's M3 is plenty quick thanks to the Dinan/Vortech V2 supercharger and the RMS Stage 2.5 kit, which made approximately 8-9psi of boost and put down more than 380hp at the wheels on a Dynojet. 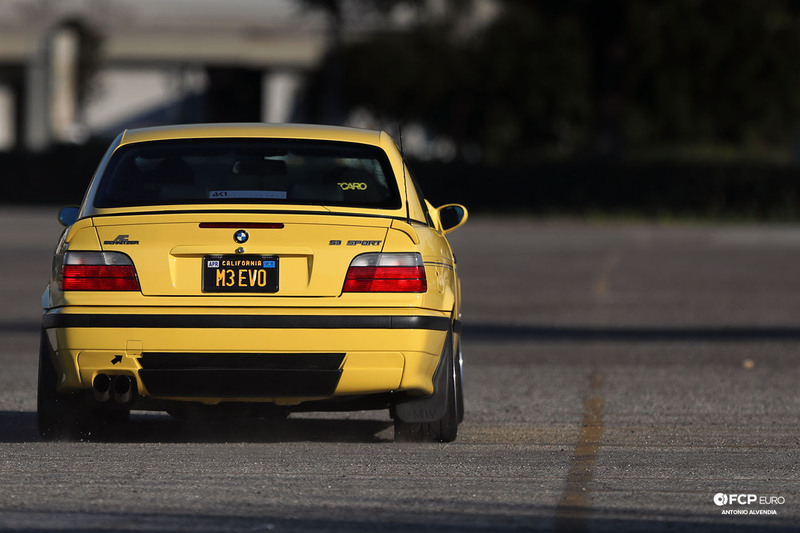 With a Getrag 420G six-speed gearbox and a custom built 3.46 rear differential, his M3 moves very, very quickly. Jonathan admitted that he initially wanted an AC Schnitzer CS or CLS wide body kit for his M3. 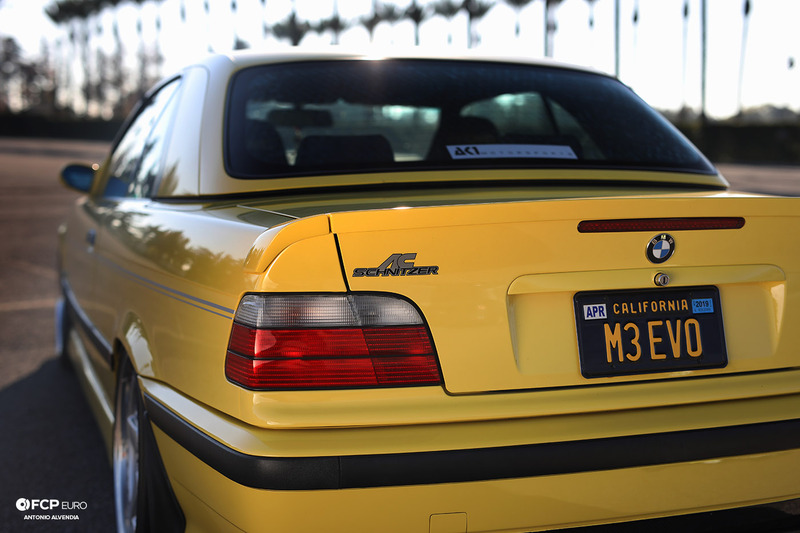 However, in the end, he managed to convince himself to stick with the M3 convertible’s original shape and dimensions. 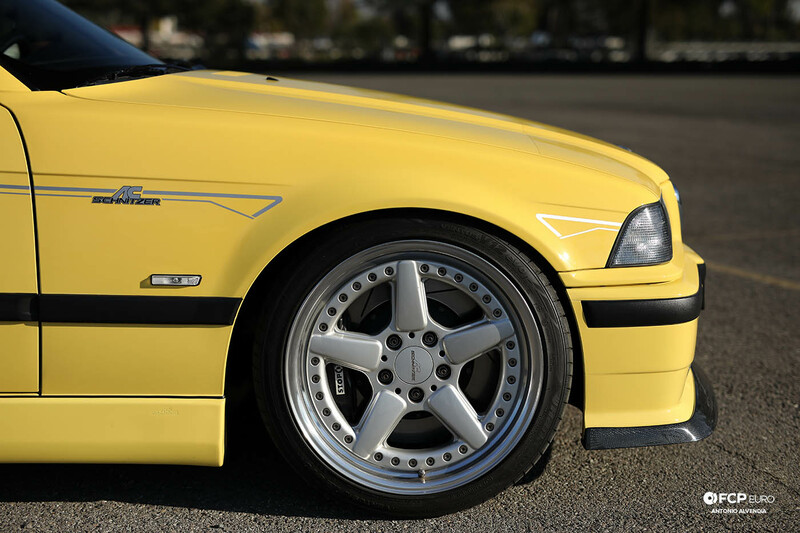 "I simply love the classic lines of the E36 M3 too much to alter them in any way," Jonathan concluded, "With that in mind, I went ahead and modified my M3 using as many period correct parts as possible to enhance its heritage, value, and preserve its timeless look." Although car enthusiasts from different countries don’t necessarily communicate in the same language, one thing we all have in common is our passion for cars. Jonathan explained how thankful he was to meet other BMW enthusiasts around the world because it was those people from the BMW community in other countries who helped him get some of the parts for his car that are unobtainable in the United States. If you enjoyed this article, we will be publishing more just like this multiple times per week going forward. 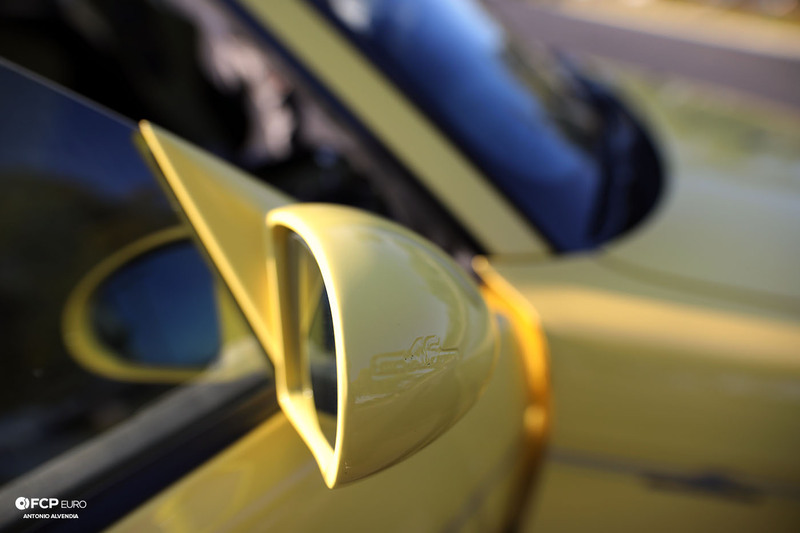 Check back here often, subscribe to our YouTube channel for more automotive content, and leave us any comments below!